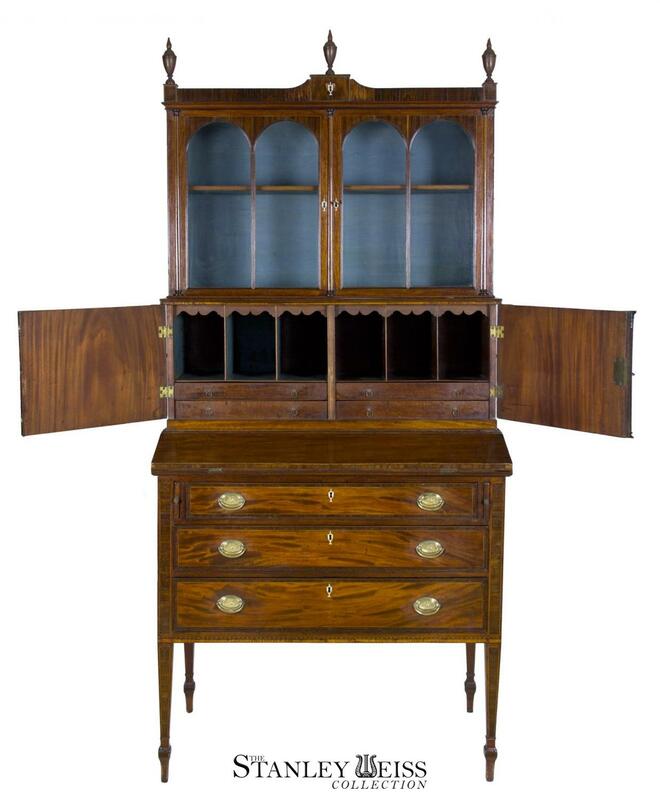 This secretary, attributed to Thomas Seymour, is the best in the world of great classical furniture and is illustrated in John and Thomas Seymour: Cabinetmakers in Boston 1794-1816, Vernon Stoneman, no.47, p.105. 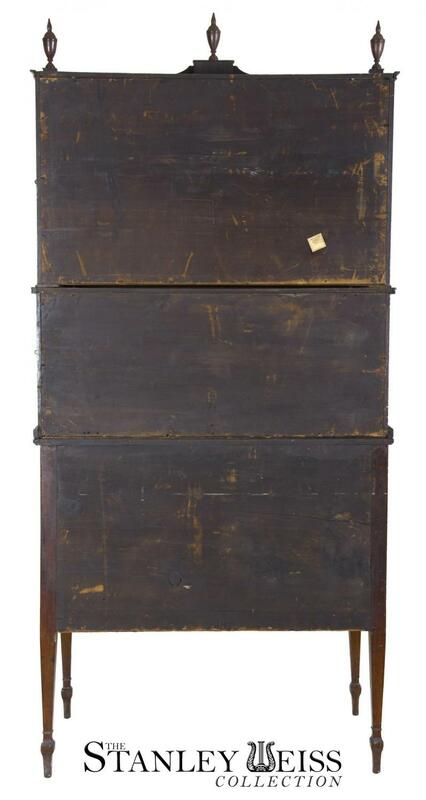 The profile is a series of descending cases of increasing size and produces a lightness of silhouette, each with their original brass carry handles. 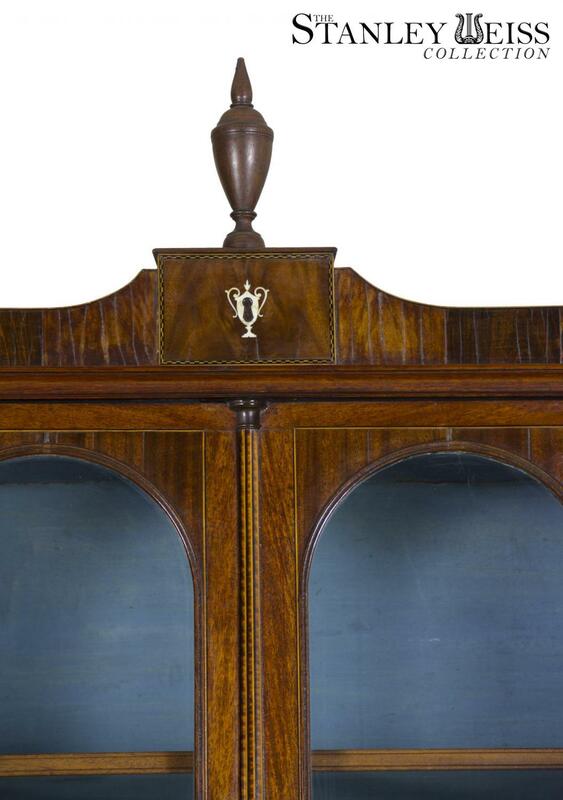 Note the use of the trademark ivory urn escutcheons the Seymours were famous for, which this piece exhibits such in abundance. 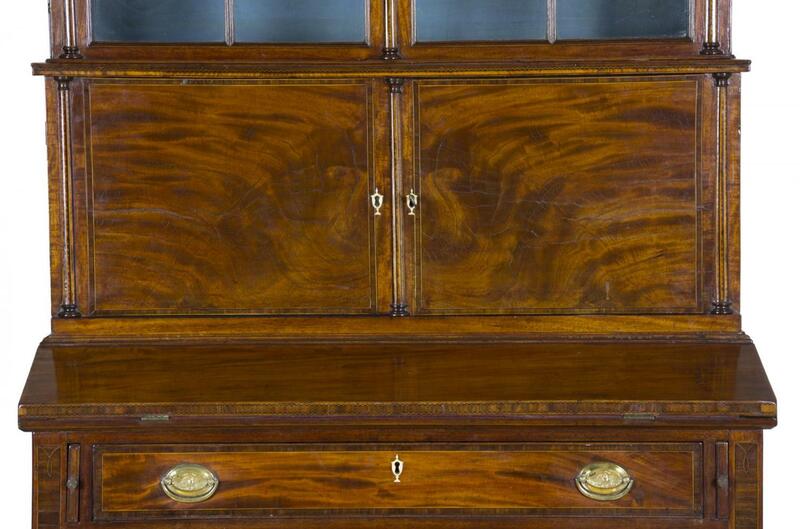 Also, Seymour's trademark blue paper surface appears inside the cabinet. 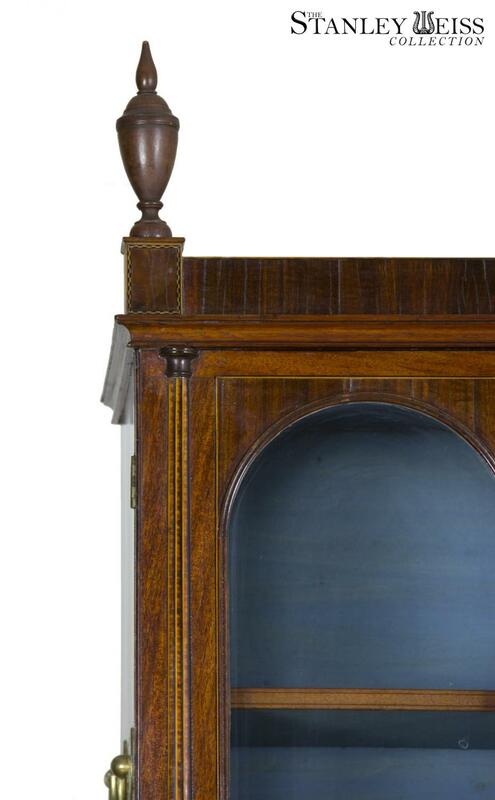 Note the highly figured mahogany. 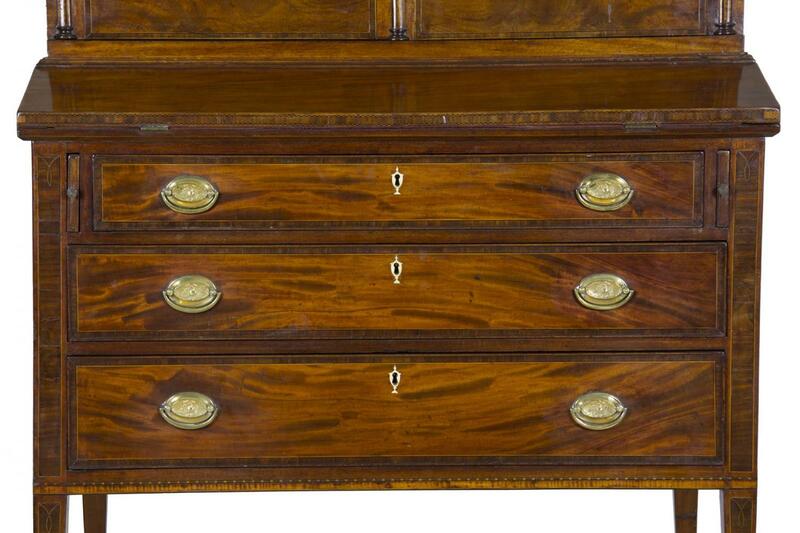 It's a wood quality the Seymours were famous for using, and further note the fine tiger mahogany reeded columns in the middle and upper sections of the beautifully detailed cabinets. It's a sublime piece of furniture making. 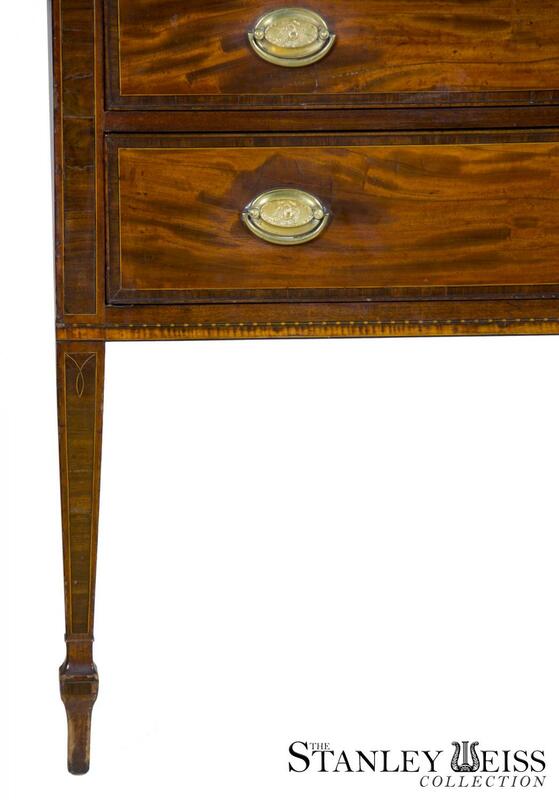 The legs are inlaid as are the flanking supports in the base section. 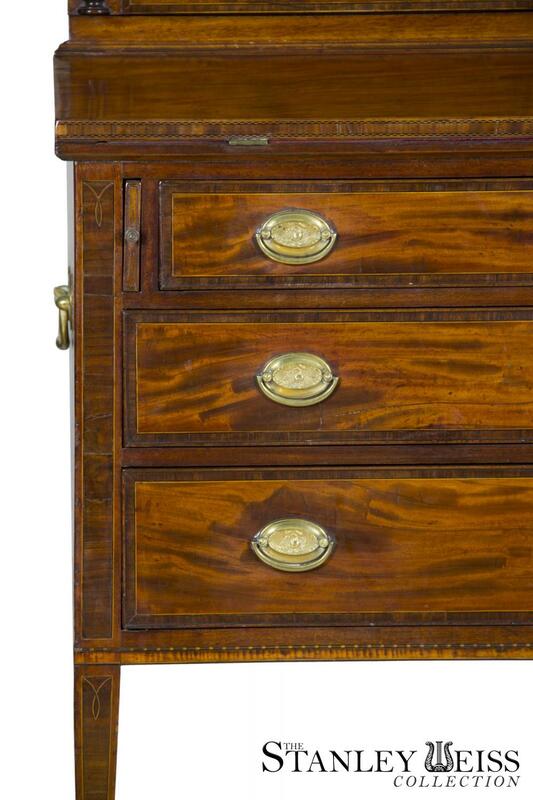 Also, the characteristic Seymour arrowhead string inlay can be found at the bottom of the lower case, above another fine strip of tiger mahogany. 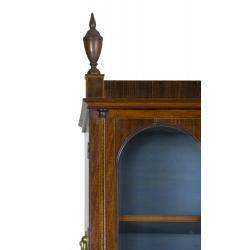 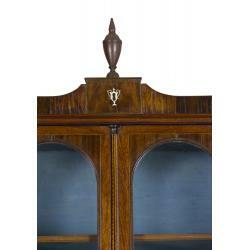 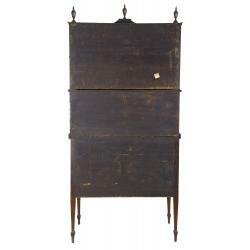 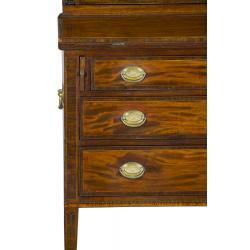 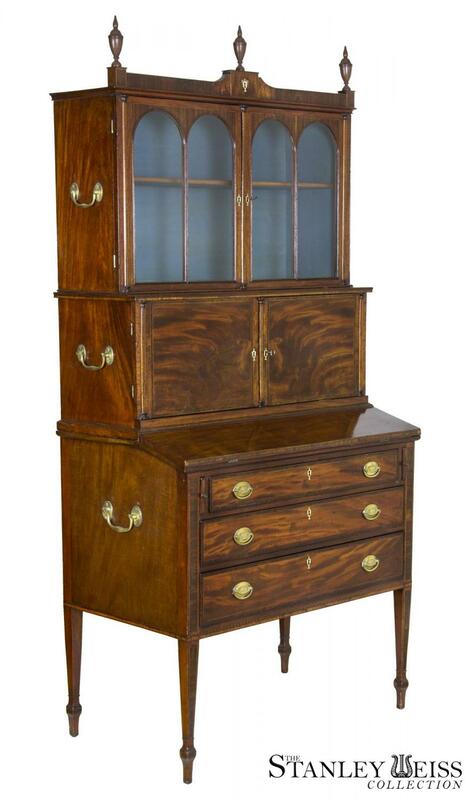 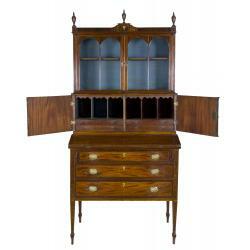 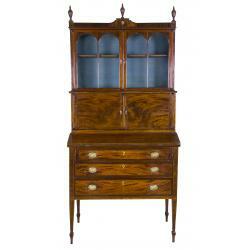 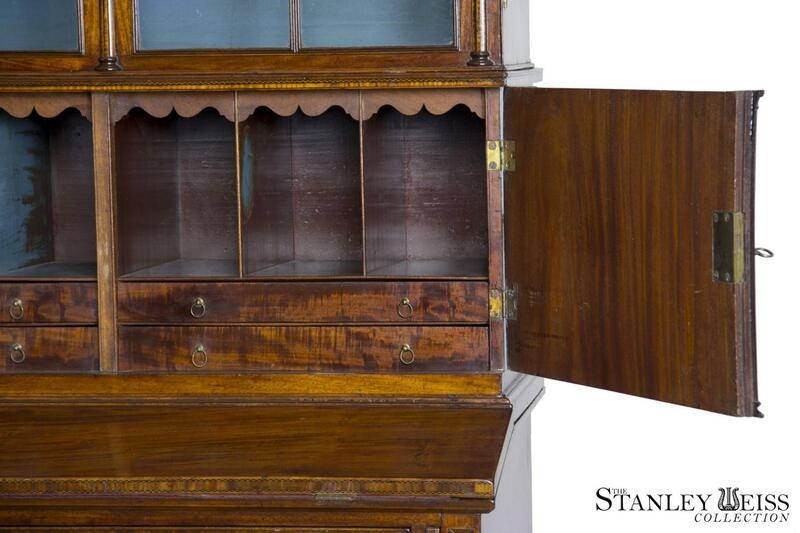 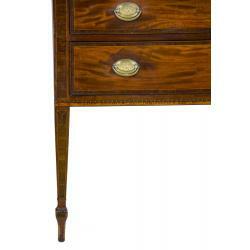 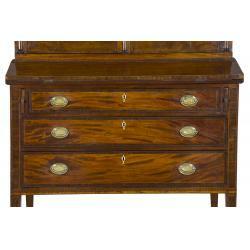 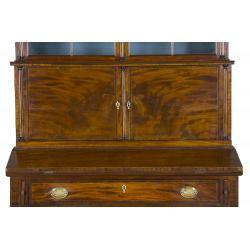 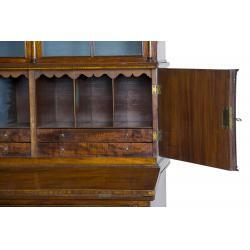 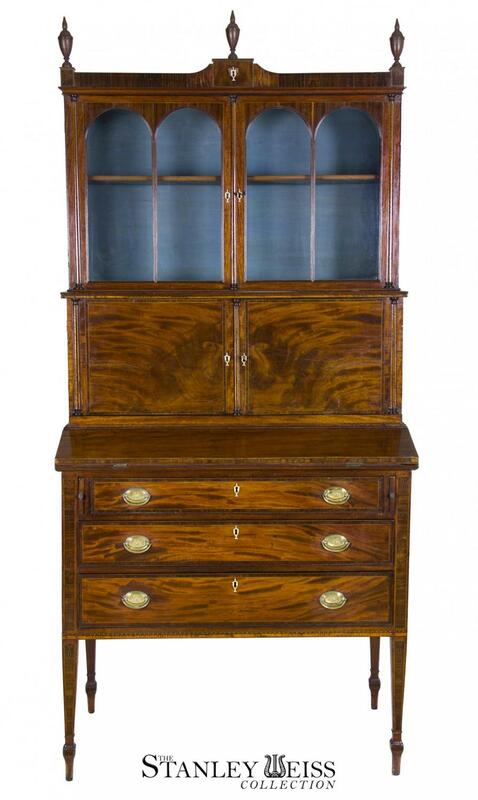 This is simply the very finest of the American cabinetmaking of the period. 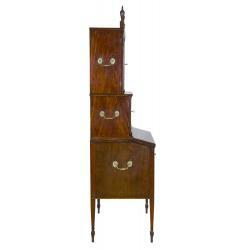 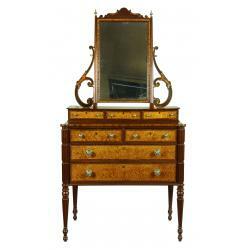 For a related casepiece of this quality, (see sw01790: Seymour dressing table with mirror).